Kia will begin its India operations later this year and the first product from the company is an SUV. 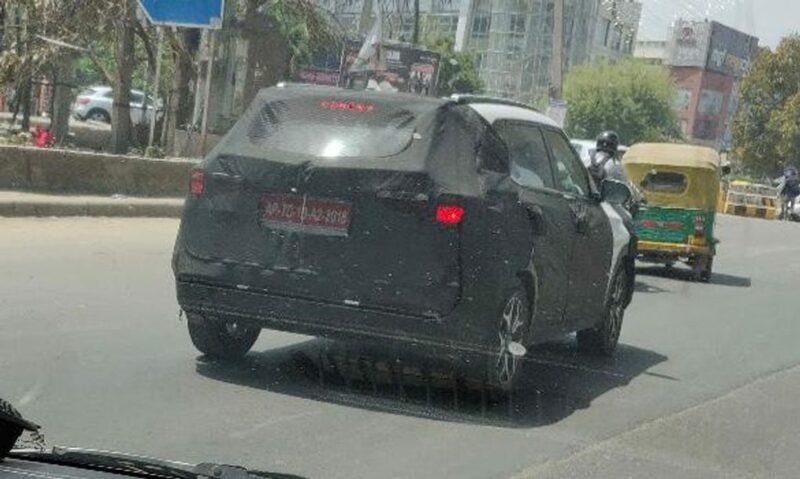 The company previewed the model with SP Concept at the 2018 Auto Expo and the new model has been spotted several times in public roads. The latest test mules have more production parts like alloy wheels and LED tail lamps. 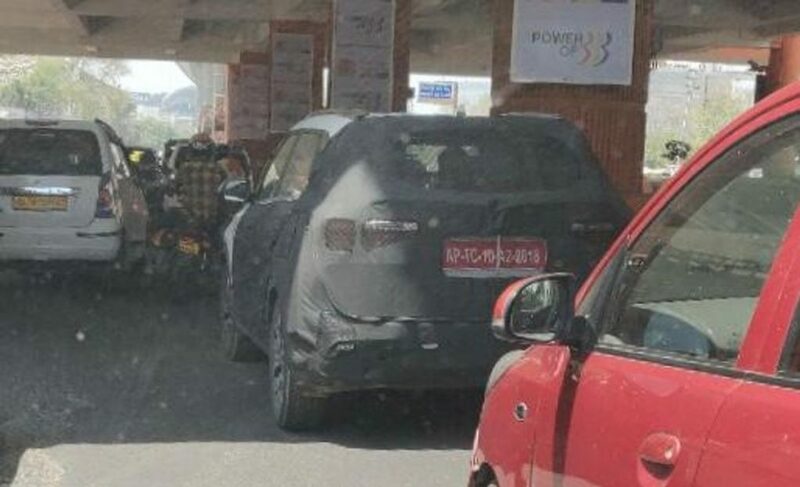 The company is expected to carry forward most of the design elements from the concept and it will be based on the different platform than Hyundai Creta. The front of Kia SP SUV gets signature grille of Kia along with split headlamp setup. This design theme is a new trend these days as most of the manufacturers are adopting it. The fog lamps will be placed on the lower part with black plastic cladding around the body and faux skid plates at front and rear. The top-end variants are expected to come with either 17 or 18-inch multi-spoke alloy wheels while middle variants also get alloy wheels but the design will be different while basic variant comes with steel wheels. The company has given roof rails and the rear gets big LED tail lamps along with a new bumper. We can expect the company to offer dual-tone exterior colour options also. The interior design theme is similar to other Kia models as the centre console gets tablet-like touch screen infotainment system with Android Auto and Apple CarPlay. The SP2i might come with connected car technologies as it is the latest trend in the industry and the SUV will be packed with features like a sunroof, 360-degree camera system, leather seats, projector headlamps, wireless charging, rear AC vents, keyless entry, push button start, rain sensing wipers and more. 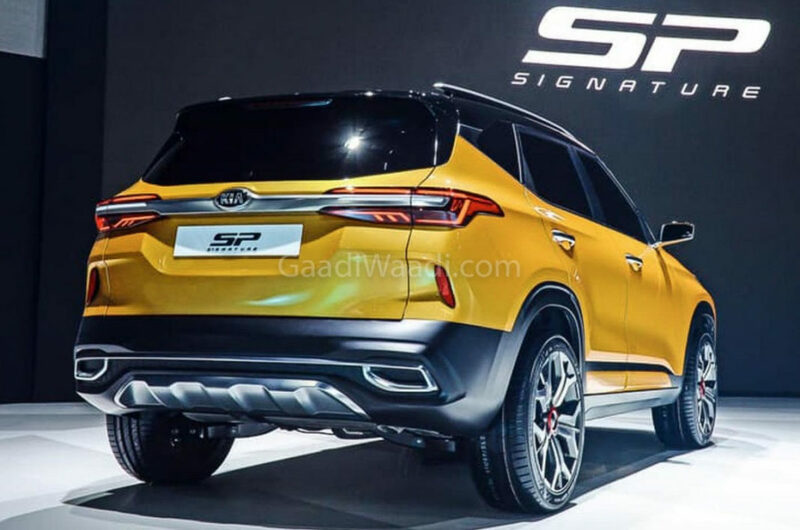 Kia is expected to offer the SP2i with newly developed BSVI complaint 1.5 L diesel and petrol engines, which is expected to produce similar power output as current 1.6 L engines from Hyundai and transmission options include both manual and auto. The company might not offer four-wheel drive system and 1.4 L turbocharged petrol will be introduced later.